Monika Verma from Delhi, B.Sc Graduate. RECRIUTMENT EMPLOYEE ENAGAMENT GRIEVANCE HANDLING STAFF TRAINING. TRAINING DEVELOPMEN..
are one of expert skill area's of Monika Verma . 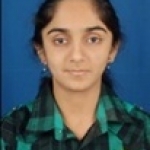 Monika Verma is working in Human Resources industry.